Gummy supplement manufacturers develop nutraceuticals for children and the elderly. Gummies are great if you are having difficulty swallowing tablets or capsules, or even softgels. Usually, kids and our grandparents would refuse nutritional supplements unless they are easy to ingest. For this reason, gummies have a good international market. How Can Gummy Supplement Manufacturers Help You? Gummy supplement manufacturers understand the products for which there is a high demand. Focusing on gummy supplements for your Amazon or drop shipping business is probably a great idea. It is certainly a good start, but you need a reliable manufacturing company. At Vitakem, we do more than manufacturing gummy supplements. 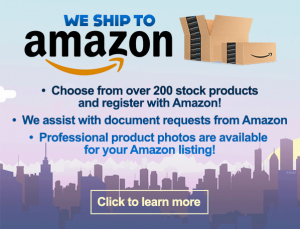 However, if you get our Amazon or drop shipping services, we can walk you through the process of growing your business. First, let us know the kinds of nutraceuticals that you want us to manufacture for you. Get a free quote. Then, if you want to discuss custom formulation, our product development team can offer you precious insights. The marketability of gummy supplements is clear. However, you may be wondering if you should really focus on selling only gummies. Perhaps you do not have to stress over it now. With one step at a time, you may be well on your way to growing your own business in the health supplements industry. Specializing in gummies may also work for you. Make one step at a time. Eventually, you will be able to decide whether you would continue ordering only gummies from your wholesale supplier. Being GMP-certified, Vitakem develops gummy supplements that are safe for both the children and the elderly. In fact, using our unique food science expertise and proprietary processes, we have helped introduce excellent products, such as calcium gummies. 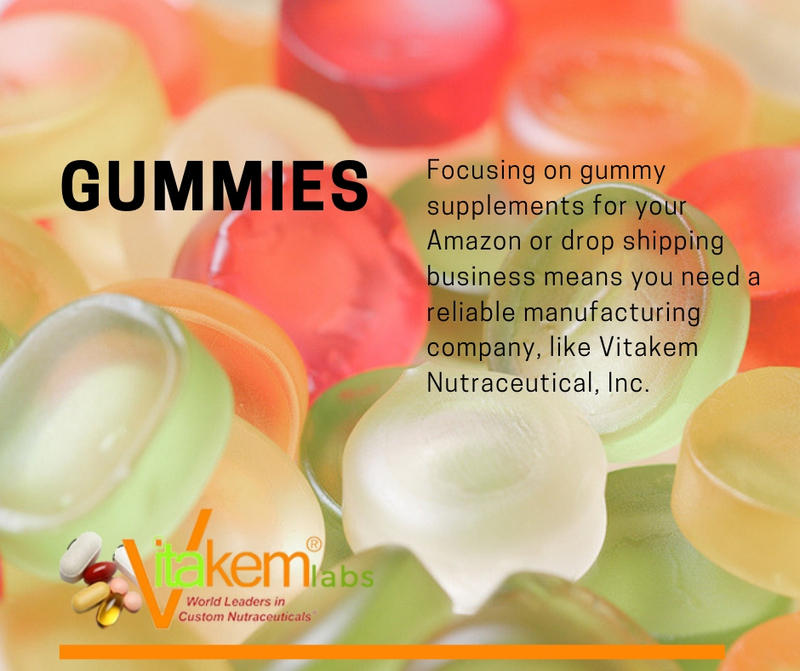 The amounts of nutrients formulated in each Vitakem gummy are all meticulously calculated based on extensive research. However, parents and guardians must watch their kids. They should take only the prescribed doses. Be sure to tell them that their gummy supplements are not candies. If you are new in the drop shipping business, Vitakem can walk you through the process of establishing your brand. You may even ask us to take care of warehousing your products. Feel free to ask us your questions about drop shipping gummy supplements. We have seen a lot of business grow from the ground up. You are determined to succeed. And we are determined to help you. Let us discuss your product plans. Check out your gummy options below. The right gummy supplement manufacturer will make things easy for you as you move toward launching or expanding your business. At Vitakem, our goal is to help you focus on your business plans. 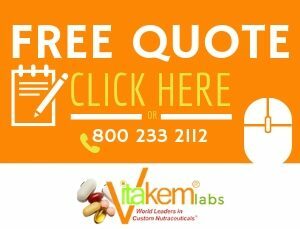 Moreover, we at Vitakem are excellent at overcoming hurdles that usually cause headaches. So, new business owners in the health supplements industry are often awed by what we can do for them. Are you ready to place your wholesale order for gummy supplements? Keep in mind that Vitakem has a vast selection of products. Gummies are just a part of what we can offer. Try our gummy multivitamins for kids here. You may also want to private label gummy supplements for heart care. In addition, feel free to discuss custom formulations with us. 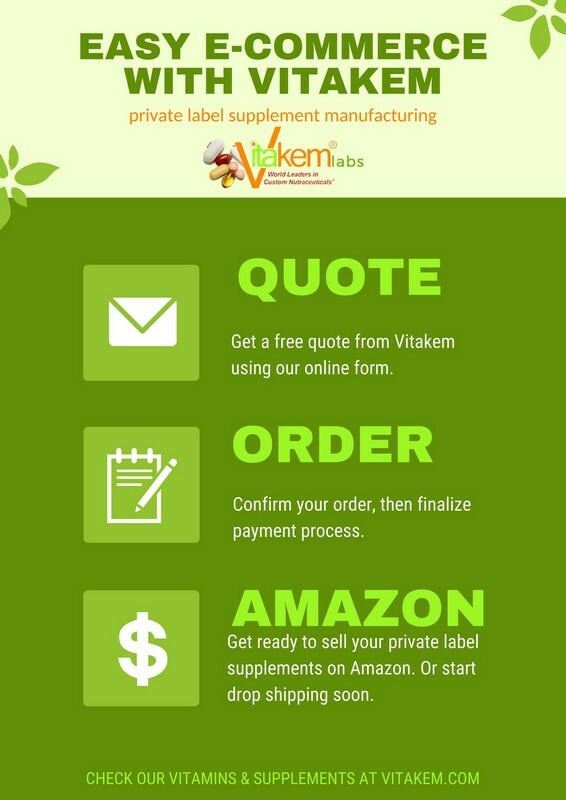 Vitakem is ready to be your wholesale gummy supplements manufacturer. You can private label gummies soon. To start, contact us to get a free quote. Be sure to fill out the information fields accurately. We look forward to seeing you launch and expand your business. Copyrights © 2012 Vitakem Nutraceutical Inc., All Rights Reserved Worldwide.